Americans spend $300 billion dollars on remodelling and upgrading their homes, offices, office buildings and vacation homes including interiors and exteriors annually. 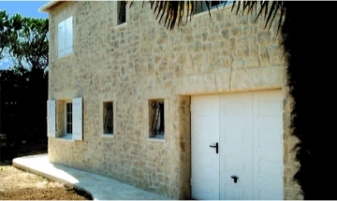 ProCal Stone has created a unique niche in the market place with a time and cost saving technology which cuts installation time in half with the use of a unique limestone application which is handcrafted on-site by Masters Artisans. Our DFW Location is on track to do over $1.5 Million in revenue! Request more information below! Need Minimum of 90K to 120K in assets. 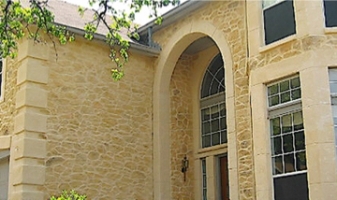 We create beautiful real limestone with the texture and color of any shape or rock appearance desired. It can be installed on existing walls without disturbing the existing original structure. This product was developed by a French craftsman and artist and then expanded throughout France, Spain and Italy since 1999. 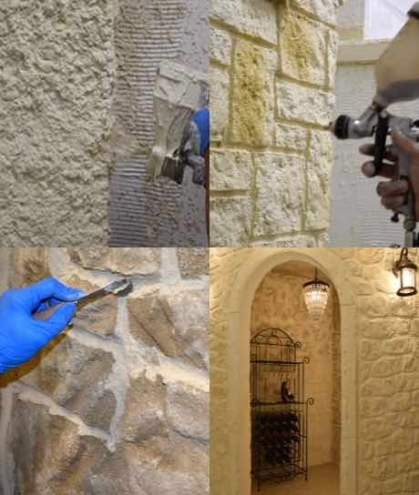 Our product's versatility creates astonishing results compared to that of quarried stone. ProCal Stone offers an incomparable range of application and design to architects and interior designers which previously has been very limited. With the explosive growth and now with an established U.S. base in Dallas Texas. Our growth plans are to build 200 ProCal Stone showroom warehouse centres in the next 5-6 years. The French experience has expanded successfully and profitability. The initial US Showroom Center is on track to do $1,400,000 in the first year. Americans spent approximately $5 million dollars per zip code in home remodelling last year, and this activity has increased 20% over the previous years. The commercial construction market is approximately $100 billion annually in the US. We have established a company culture on excellence in customer service, attention to detail and successful financial growth, to prepare our Franchisees to succeed. Philippe learns of Pierre’s innovation and bring it to the United States to spray limestone on the very first home in Arlington, Tx. 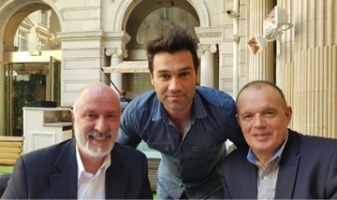 A new opportunity arises in the global market place with the formation of ProCal Stone Design, sparked by the merger between many companies who consolidated under one unified entity. We offer a wide range of services to make you successful. ProCal Stone is seeking experienced businessmen and women who are currently in construction or related fields is a plus for consideration. In addition, we are actively working with entrepreneurs, investors and experienced business people who want to expand their business whether in real estate commercial development venues or have a thriving business in a completely different field and are looking to expand their portfolio. 5% Royalty, 2% Marketing Fund, contributing to 8% or more local advertising highly recommended as part of minimum starting % which can be reduced at maturity to 5%. Master franchise agreements and International agreements are negotiated on a case by case basis. Partnerships are also encouraged as long as there is an active operating partner. The financial requirements will vary from 168,000 to $195,000 total investment depending on the are developed, with a $90,000 liquidity. Approximately 40-50% may be financeable. We are seeking partners capable of operating 1-5 locations. Many factors go into the selection of an area for development and areas are individually evaluated. In broad terms, an area will need population of 300,000 as a minimum and multiples of that number to support multiple locations. Showroom and warehouse space will most likely be 3000 - 4000 square feet or more as needed. Evaluations of each area requested will be made based on demographics, remodelling activity both residential and commercial, and new construction as well. Consideration will be based on demographic profile, disposable income.